B.A. in Political Science from the University of Illinois, 1990. Dean’s List. 1989-90. President of the Pre-Law Club, 1989-900. Senior 100 Honorary, 1990. Ma-Wan-Da Honorary, 1990. Wa-Na-See Honorary, 1990. Kappa Delta Rho Social Fraternity, 1986-90. J.D. from the University of Kentucky, 1994. Moot Court Board Member, 1992-93. Best Appellate Brief Recipient, 1992. Admitted to practice in all courts in the Commonwealth of Kentucky, the U.S. District Courts for Eastern and Western Districts of Kentucky and the U.S. Sixth Circuit Court of Appeals. 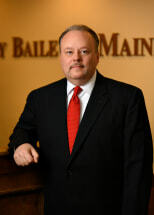 Member of the Kentucky and Fayette County Bar Associates. Trial experience in workers’ compensation, insurance defense, personal injury, premises liability, motor vehicle accident, products liability and municipality law.